Apple’s new flagship iPhone X was launched last week. Losing the home button and altering the design was a dangerous move but one that was needed after years of monotony in Apple’s design. iPhone 8, on the other hand, was a safe bet, with a similar design to the iPhone 7 and iPhone 6. Apples iPhone X also makes the company more money per phone than the iPhone 8. An analysis found that iPhone X costs just 25% more than the iPhone 8 in manufacturing costs, while it retails at a 43 percent higher price than the iPhone 8. According to TechInsights, iPhone X is sold at a gross margin of 64 percent, compared to the 59 percent for iPhone 8. iPhone X costs $357.50 in manufacturing and sells for $999 to $ 1,149. On the other hand, iPhone 8 starts at $699. 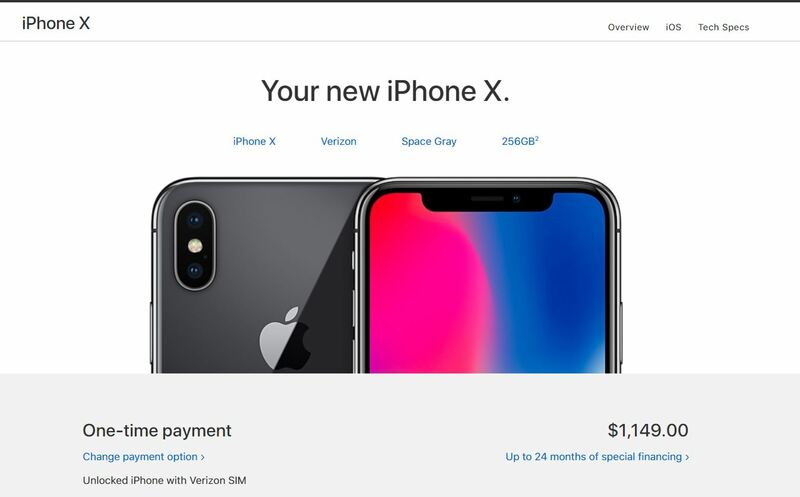 According to Apple’s site, iPhone X in Space Gray color with 256 GB storage costs $1,149.00 for purchase. Apple is unique in the electronics industry for its ability to charge a premium price for its latest devices and for its ability to maintain that price even when selling through third-party telecom carriers. He further added that Apple can be different here because they are the 800-pound gorilla. iPhone X has a 5.8-inch edge to edge display as compared to iPhone 8’s 4.7-inch display. Its’ display’s associated parts cost $65.50 compared to $36 for the iPhone 8. The more expensive iPhone uses a Super AMOLED display compared to the IPS LCD used on the iPhone 8.
iPhone X has a stainless steel chassis which costs $36 versus $21.50 for the aluminum housing of the iPhone 8. Cowsky said that steel is less likely than aluminum to bend when flexed, a problem that dogged the iPhone 6 when it came out. The design choices for the iPhone X pushed its price. iPhone X has been a major success as compared to iPhone 8. 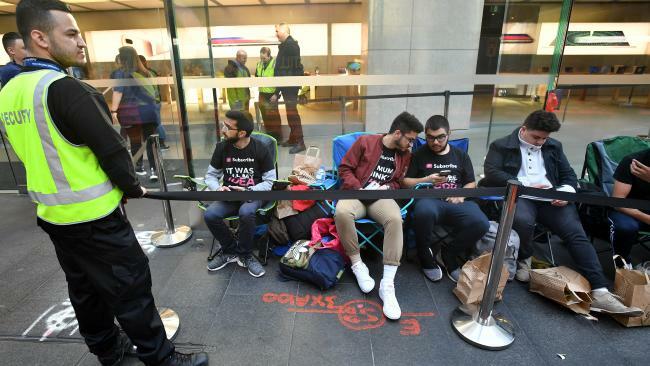 When iPhone 8 was released in September, there were no long queues of customers outside Apple stores because everyone was waiting for the futuristic iPhone X. Last Friday, iPhone X was made available for purchase. Long queues of consumers could be seen outside various stores all around the world. How come is that waste of money. Wahab bhai wo log 5 saal tak almost har month software update bhi dete hen – zahir si baat he us ke price bhi to add honge is me. software per kam karne wale bohat mehnge ho gae hen. Oh enough with this argument of ‘software updates for 5 years’. It is better to have a new phone with updated hardware and software rather than using the same old outdated hardware with new software. In the long run, you can have more than three flagship android phones with latest hardware and software instead of an iPhone. Yes, and for people who use old phones: fk them, right? At the rate vulnerabilities are being found in the hardware and operating systems, we need software updates more than ever. People left on older devices remain a prime target for hackers. S8 (current flagship) hasn’t even received any security updates since September. Uh… what? What’s your source? I get making BS up to try to prove your point but you’ve gotta make something up that’s believable. Have you seen the prices of Android flagships lately? Both sides have their pros and cons, no need to be a fanboy. Will you give me three Note 8s if I pay you for one iPhone X? Thanks. Software updates, marketing costs (in tens/hundreds of millions of dollars), shipping costs (entire planes are hired when a new iPhone is released to get the iPhones from China to their desired destinations for people who pre-order), sales and support, electricity cost, salaries of thousands of employees, waghera ye sab ap k pyo dete hain Apple ka? Is tarah to Galaxy S8 ki cost b 31000 rupay hai parts me. Is ki technology ki research kia tum ne ki thi k kaise banega? Hamesha aqal se pedal baat karna. Cost for hardware might be low, but Apple is charging for R&D, and you can’t put a price tag on research and services.